You need to be ready with your own concept of your personal brand because it anchors your mission. In the modern market, where everyone can be their own publisher, no one will have time to wait for you to think it up; nor can you sustain authenticity if you shoot from the hip and aim haphazardly. We were at the high-end British Columbia ski resort, Whistler, at a conference on the global postal industry. In retrospect, I should have been more appreciative of my surroundings. This was living large. But at the time it just seemed as though it was a nice dinner at another economics conference. “…So that I can tell others about what you’re doing these days,” he explained. It didn’t help. I didn’t have an elevator pitch about my brand. Of course I knew what he was talking about. At Harvard Business School the marketing professors used to talk about brand management as one of the great breakthrough management innovations that has come from the American marketplace. And when I was at Market Opinion Research, we used to talk about the rise of new brands, especially in political policy analysis. And I knew the concept of having a personal brand. I remember Tom Peters (of In Search of Excellence, Tom Peters, Robert Waterman. 1982) talking about personal brands and personal mission statements in the 1980s. But the point was that here I was being asked for my brand and this was probably exactly the setting and exactly the questioner that I would have chosen to illustrate the need to have a personal brand. Not only was this a respected colleague, an executive with Swiss Post, but he was also collaborating in setting up a Center on Innovation in Lausanne. You could not have picked a questioner who would have been closer to the heart of my work and interests. I have watched as the concept of personal branding has moved from the self help section of the book store to a central concept among the leadership books in the on-line book store. In these times, there is a practical necessity to communicating with brands, a concept that’s not far from SEO (search engine optimization). But even more importantly, if you are going to communicate in symbols, you need to connect the short hand to your moral compass or you will consign yourself to living in the froth. 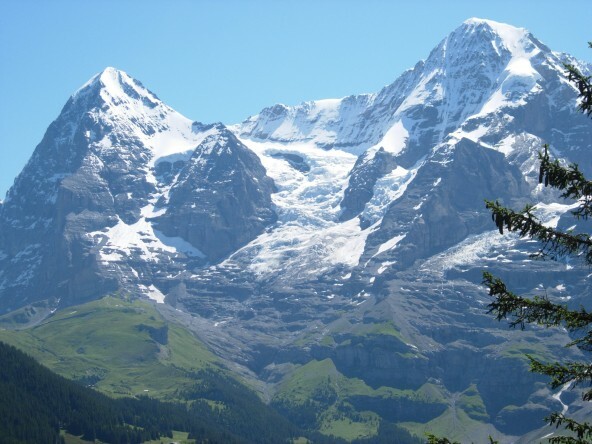 For me, the symbol of the Eiger the Monk and the Jungfrau anchors the recognition that my work on the growing activism of the stakeholders and their constituencies was in fact illustrating an emerging dynamic that will be especially important to future leaders of transformation. 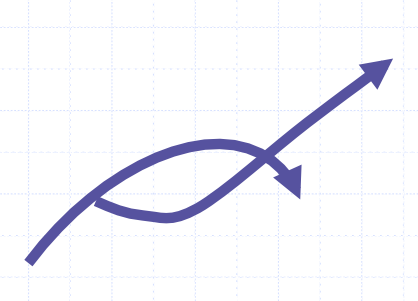 It’s important to see that in the successful, thriving enterprise, points of Strategic Inflection will be replaced by the innovation that is traced by a second curve. But the constituencies are going to have significantly different agendas on the upslope and on the down slope. Leaders have spent their careers learning how to advance with one set of assumptions and then, one day, while colleagues and forecasters are telling them that the change is not really coming, it does. In the transformational setting, there will be a need to rethink the givens. Far smoother transformations will come for those who can anticipate the way that expectations and priorities will change as growth is replaced by decline and then replaced again by new growth.